The Reeftop at Lolou Reef in Weda Bay Halmahera was rich in coral and fish, in this small coral head are 4 species and a Brick Soldierfish is hiding under the table coral in the BG. On the small Acropora head are Humphead Bannerfish, Triangular Butterflyfish, Lemon Damsels and a Blackspot Cleaner Wrasse. In addition there's two black and white chromis, possibly on the stout body orhalf and half chromis on the left hand coral head. 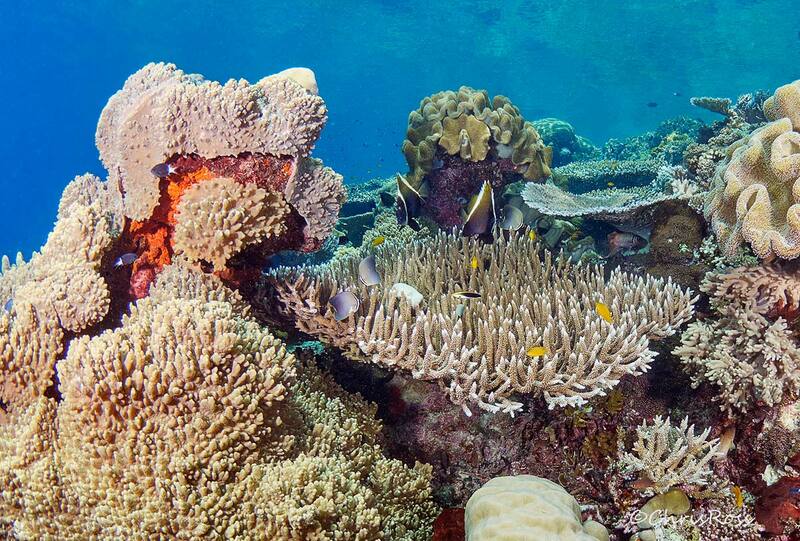 A pleasure to see a healthy reef. I do like Heniochus (Bannerfish) especially in big schools. Lovely scene, the larger version is wonderful.